Michael Cohen leaves federal court in New York on April 26. Four corporations, including AT&T, have acknowledged hiring Cohen to provide access to Trump administration officials. Probably not in the legal sense. The Lobbying Disclosure Act of 1995 defines what lobbyists are. The definition has three elements: Are they paid by their client? Have they had at least two substantive contacts with federal officials for the client? And are they actively lobbying, not doing other work, for at least 20 percent of their time working for the client? Answering yes to all three makes you a lobbyist. Every three months you'd have to reveal your clients, how much they paid you and the issues you were lobbying on for them. For Cohen, the answers to those three questions seem to be yes, probably and who knows, respectively. AT&T paid Essential Consultants $600,000 in 2017. According to documents obtained by the Washington Post and put online Friday, Essential Consultants would help "to creatively address political and communications related issues," concerning "50% corporate tax reform" and "50% mergers/acquisitions." That would include AT&T's move to merge with Time Warner, which Trump opposes. Cohen would do "0% lobbying." AT&T CEO Randall Stephenson has told employees that hiring Cohen "was a big mistake." The head of AT&T's Washington office, which Cohen worked with, has retired. 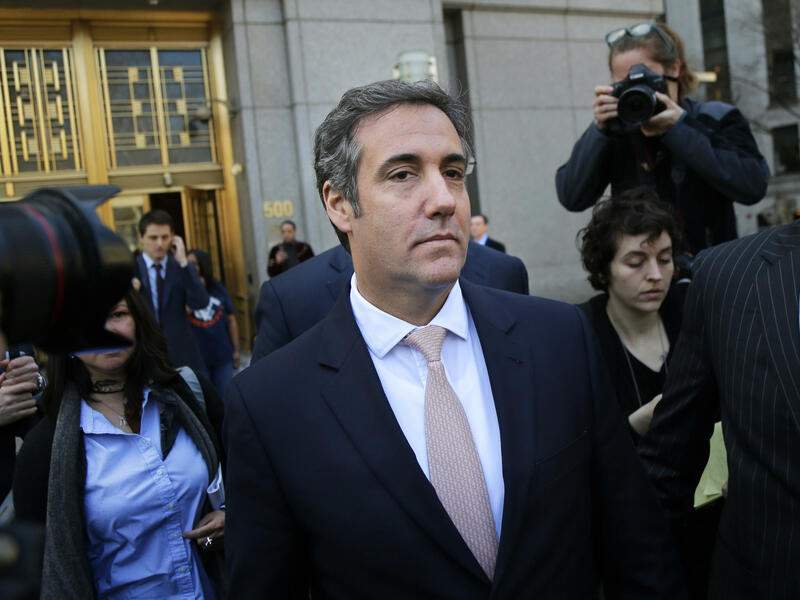 The watchdog group Public Citizen has asked the House, Senate and Justice Department to launch investigations of Cohen's D.C. activities. "His solicitations were very specific," Public Citizen's Craig Holman told NPR. "He would be bragging about his close connections to Donald Trump and others in the administration. And if you hired Michael Cohen, you'd have access to Trump and the administration." Is selling access legal in Washington? "It may be tawdry but it's not illegal," says Meredith McGehee. "It's pretty much the way Washington works." McGehee is executive director of Issue One, a political reform group, and a veteran observer of political Washington. She said that if Cohen doesn't meet the requirements to register as a lobbyist, as seems to be true for AT&T, "then he is simply engaging in the selling of access to the administration, and that is not against the law." Wouldn't selling access to the Trump White House be a conflict of interest for Trump's personal lawyer? A Republican strategist told CNN Cohen's sales pitch went like this: " I'm the guy you should hire. I'm closest to the president. I'm his personal lawyer." So for Cohen, the seeming conflict was a feature, not a bug. Should the lobbying law be tightened up? The law has loopholes and not enough enforcement. But beyond that there are limits. As law professor Ciara Torres Spelliscy put it, "The First Amendment is more famous for the free speech and free religion clauses, but it also has the petition clause." That clause, the caboose in the First Amendment's train of protections, says Congress cannot abridge the people's right "to petition the Government for a redress of grievances." That's lobbying.